Eight Misbehavin’ is a vocal octet comprised of people with a longstanding love of a cappella music and deep roots in the Bishop’s University Singers. Soprano Melinda Enns is Associate director of the big choir and has been a featured soloist with orchestras in Quebec, Ontario, Manitoba, Michigan, New York and elsewhere. She teaches in Bishop’s Department of Music. Soprano Sarah Heath, a native of Lennoxville, sang with the Bishop’s University Singers both as a student and a staff member and was guest conductor of the group for a term in 2005. She is now a Librarian in the John F. Bassett Memorial Library and currently conducts the St. Mark’s Chapel choir. Alto Jenn Cianca has been a featured soloist with the Singers now too many times to count. Her association with the choir goes back to the beginning of her student days at Bishop’s in the late ‘90’s. She is now Chair of the Bishop’s University Department of Classics. Alto Fannie Gaudette, a native of Sherbrooke, has been conductor of the Bishop’s University Singers since 2014. Prior to that, she was Associate Director and Accompanist for 15 years. She teaches in Bishop’s Department of Music. Tenor J.D. Kent has been a featured soloist in every pop concert since his arrival at Bishop’s as a student in 2011. He has also starred in the past two Spring Musicals co-produced by Bishop’s Departments of Drama and Music. Tenor Daniel Miller has been a pillar of the choir since coming to Bishop’s Department of Religion in 1999. He has been a featured soloist in performance of both classical and pop repertoire. Bass Jamie Crooks has been affiliated with the Bishop’s University Singers in one way or another since coming to the Philosophy Department in 1990. He was conductor of the choir from 1999-2014. Bass Tim Doherty has the longest tenure with the group – stretching back to the 1980’s. He has been indispensable as a singer, a musician, a photographer and videographer and a host of good times. 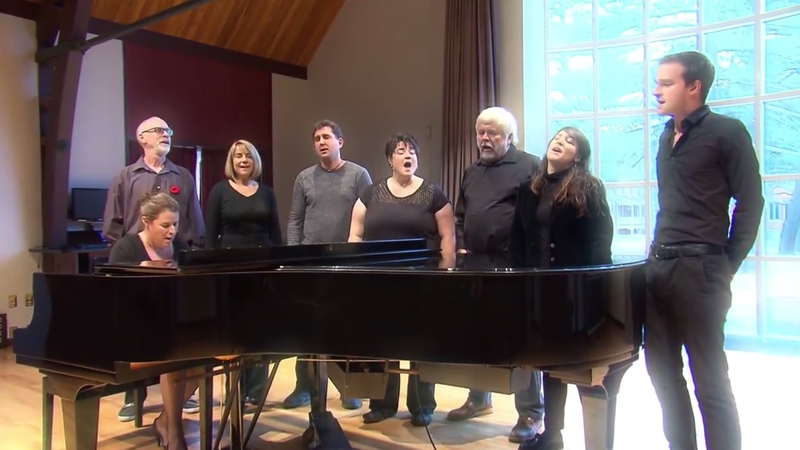 Eight Misbehavin’ is featured both in the concerts of the Bishop’s University singers and in a variety of local venues around the Eastern Townships. Their repertoire extends from serious music to jazz, pop, gospel and bluegrass.